Discreet Cat Litter Box Cover with scratch post. Covers your cat litter tray, saving space and improving appearances. DISCONTINUED - Pennine Cat Loos are no longer available. Hide the cat litter tray away under a carpeted cat scratch pole and platform. 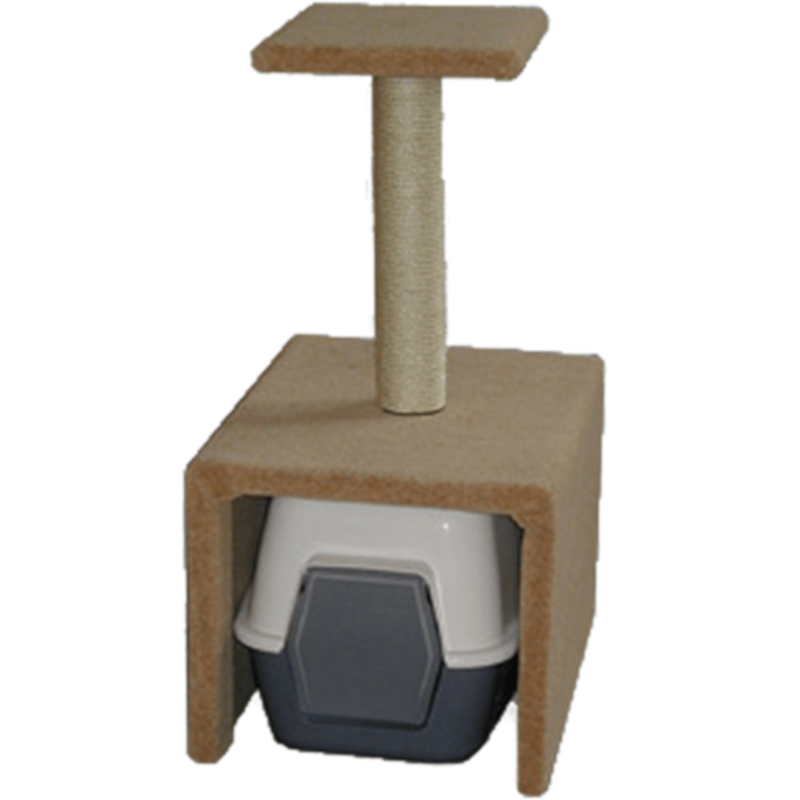 Good quality covered cat loo litter tray with scratching post above. This scratcher includes one cat litter tray, one 25 x 18 x 16inch sturdy carpeted box, one 19inch long 3inch diameter solid post wrapped in natural sisal, and one carpeted 12inch platform.